Barbados, like so many of the Caribbean islands, is the perfect setting for sun, fun and romance but Barbados is also very different than the majority of Caribbean islands. Cricket is the national passion and polo is played all winter. The locals are a bit more reserved and there is an emphasis on good manners. The dress code is a bit more formal- bathing suits are strictly for the beach and dinner is a bit dressier than man y other islands. It is the Eastern most island in the Caribbean. You can surf year round in Barbados. They drive on the left like the British. It is located in the Lesser Antilles The time zone is Eastern Caribbean , which is 1 hour ahead of EST in the winter and the same in the summer months during daylight savings time. How are the beaches in Barbados? Since the island borders the Atlantic on the East, the beaches on the West Coast feature calm clear waters and white sand. These beaches are ideal for sea bathing and swimming. 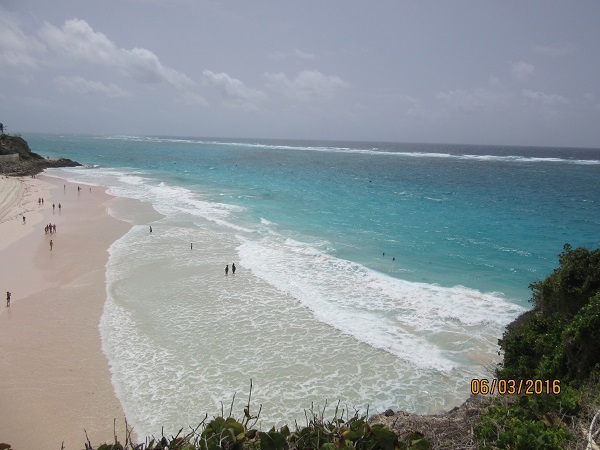 On the East Coast of Barbados huge Atlantic waves crash along the shore and these beaches are a bit rough for swimming but they are great for kite surfing or windsurfing. On the South Coast, you’ll find some of the most beautiful beaches in the world. Since it is so close to the Atlantic, the South coast has calm swimming and snorkeling beaches but also at the southernmost tip of the island – windsurfing. While it’s beautiful to look at, these beaches are not for swimming. 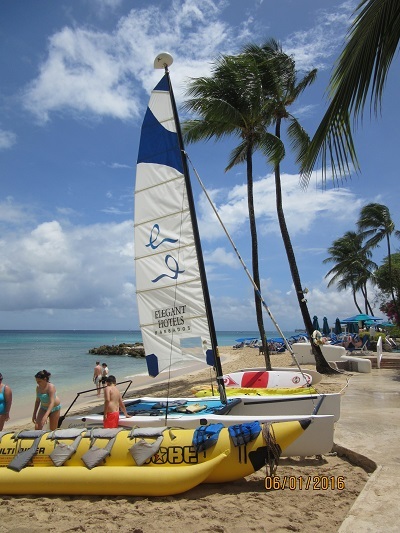 The weather in Barbados is almost always sunny and warm, cooled by the constant northeast trade winds. The average daytime temperature ranges between 84-88 degrees Fahrenheit, Summer temperatures rarely exceed 90 degrees Fahrenheit. The best time to go to Barbados is during the cooler, drier months of late winter and early spring (December through May). Mid-December to Mid-April is also the peak tourist season when prices are higher and hotels most crowded. While it is not technically outside of the hurricane zone, Barbados rarely gets hit by hurricanes. What type unique honeymoon accommodations do they have in Barbados? 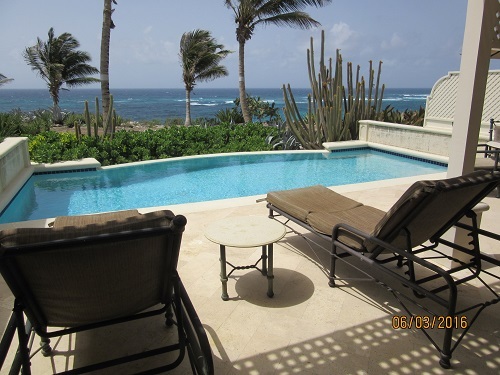 Barbados is known for its boutique resorts and smaller properties. Yes, they do have a couple of larger resort chains, like Hilton and Fairmont, the majority of the resorts are smaller and more intimate. There are some all- inclusive resorts, but with so many wonderful restaurants in Barbados, many honeymoon couples will try some of the restaurants around the island rather than dining just at their own resort. If you want luxury, try Sandy Lane where celebrities tend to stay and room rates start at about $1000 per night. You won’t find the huge, mega, properties you’ll find in Punta Cana, the Riviera Maya or even Jamaica but it’s a special place, with tons of activities, great people, really good food…never a dull moment. 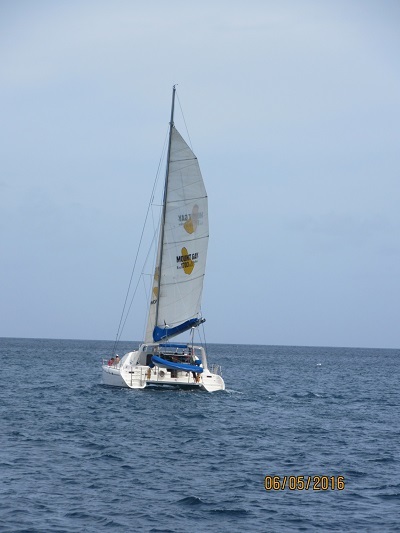 What is there to see and do in Barbados for honeymooners? EAT: Sunday lunch in sea-sprayed Bathsheba or Bajan dishes in a lush garden setting at Brown Sugar or upscale seaside dining at Champers or Pisces. Don’t miss the Friday night Fish Fry at Oistins. PARTY: At two happy hours and nightly music at the Ship Inn. Hit the beach parties at Harbour Lights on Bay Street. Dance at McBride’s Pub & Cookhouse in St. Lawrence Gap or in Oistins on the weekend or at Lexy Piano Bar in Holetown. Take a Jolly Pirate party cruise. WILDLIFE: Feed green monkeys and other local wildlife at the Barbados Wildlife Reserve. Swim with Sea Turtles. DO: Ride the tram through the extensive cave system to see the stalagmites and stalactites at Harrison’s Caves. Take afternoon tea at the Sandpiper Hotel in Holetown. Go shopping in one of Holetown’s little malls or the charming chattel-house village or in downtown Bridgetown. Visit a rum distillery and get to sample some. Take the Atlantis submarine to see the beauty of under the water without getting wet. WATERSPORTS: Try snorkeling, kayaking, surfing, stand up paddle boarding, kite or windsurfing, scuba diving, jet skiing, fishing and more. ROMANCE: Stroll with white sand beaches. Enjoy a beachfront couples massage. Take a sunset cruise. Have a romantic dinner on the beach. Is Barbados the right honeymoon destination for you? If you are looking for a choice of multiple adult only all-inclusive resorts that many of the other Caribbean islands offer, Barbados is likely not for you. If you are looking for great food, smaller more intimate resorts, great beaches, and a bit of sophistication, then Barbados might fit the bill. My Vacation Lady doesn’t sell cookie cutter honeymoons. We take our time to get to know our clients so that we can match the right destination and the right resort to fit your needs and your budget. Contact My Vacation Lady and let us help create your dream honeymoon. My Vacation Lady is recommended by brides on both Wedding Wire and the Knot.